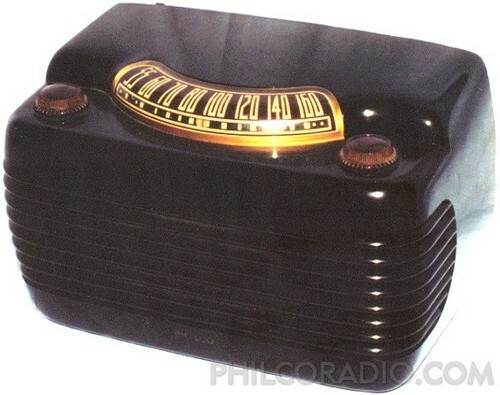 That’s a Philco 46-420. They’re nice little bakelite radios with 6 tubes designed to receive the AM broadcast band. He’d come across some unlabeled wiring while repairing and had dealt with it but we were talking about what it’s purpose was. I generally work on pre-WW2 radios so haven’t run into this particular arrangement personally, but I’ve read a few different articles by other collectors on this topic and recognized it immediately. 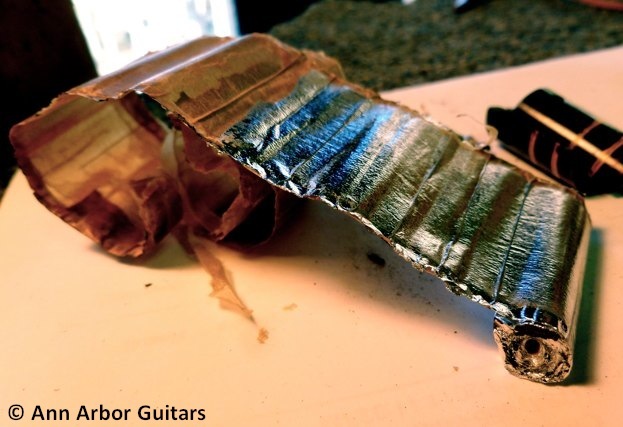 The coil, wound 8 turns around the capacitor and connected at one end to the chassis, is a type of wave trap designed to cancel out the inductance of the old capacitor. This helps to prevent interference – both received, picked up through the cap as if it were an antenna, and radiated interference from the signal passing through the cap. 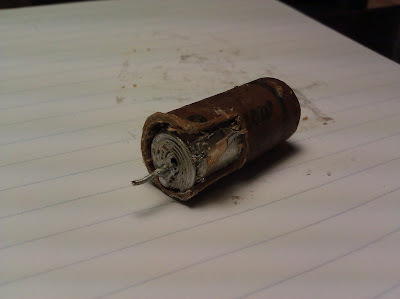 Philco used these capacitor wave traps in most of their radios from 1946 and on. There’s an article at the Philco Repair Bench describing one style; this is a slightly variation with the same effect. 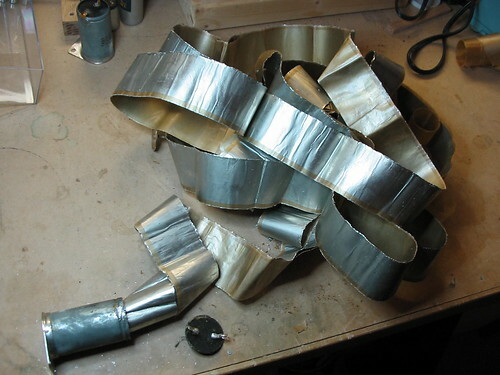 Modern caps are constructed out of metalized polymer films that have very little inductance, but these older capacitors were just concentrically coiled metal foil sheets with a lot of natural inductance. 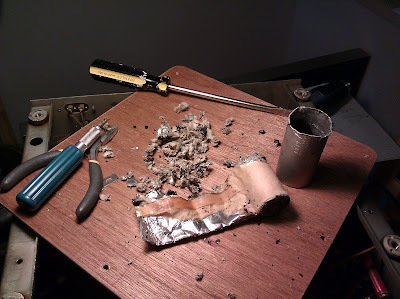 Modern caps don’t have that physical property, so it’s safe to replace the wrapped capacitor with any modern replacement and either shove the new cap through the coil, or remove the coil entirely. Thanks to Bob from Old Tyme Radio for these photos of his project, and for distracting me from being snowed in for a bit! I’m always taking mail from readers with interesting anecdotes, photos and questions so feel free to send them over either as comments or through the e-mail address I’ve posted in my Repair Services page. This entry was posted in Electronics, Mailbag, Photos, Radios and Tubes, Vintage and tagged 46-420, Antique, around capacitor, capacitor, coil, coiled wire around capacitor, Hippo, inductance, mail, Mailbag, philco, questions, repair, twisted wire, vintage, Wave Trap. Bookmark the permalink.